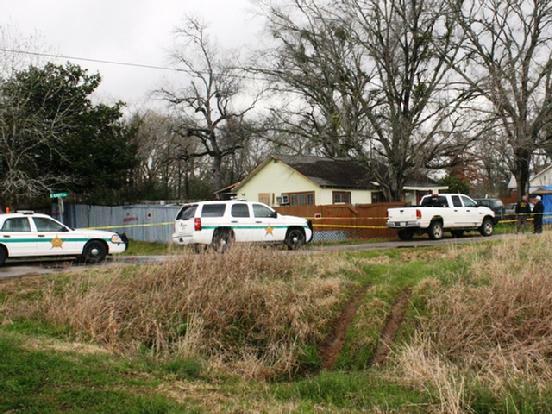 Sheriff's cars converged on the scene of an active meth lab. Hammack's Rangers Uncover Another Meth Lab, GOODRICH, February 26, 2010 - According to the Polk County Sheriff's Office, on the morning of February 26, 2010, Investigators Randy Turner and Chris Lima with the Polk County Sheriff's Office went to a residence at 570 S. East Avenue in Goodrich to investigate a possible burglary. When Turner and Lima knocked on the door, a female by the name of Patricia Thomas, 40, of Goodrich answered the door, then tried to slam the door in the face of investigators and ran through the house screaming "Sheriff's Deputies!". Turner and Lima spoke with resident Danny Hill, 53, of Goodrich. 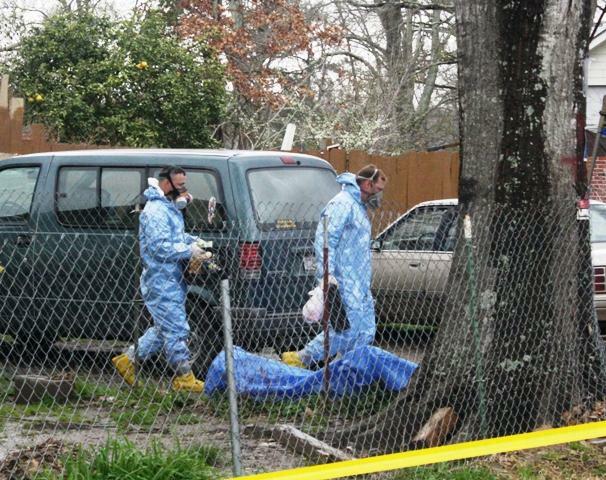 Turner could smell a heavy smell of chemicals used in the manufacturing of methamphetamine. The investigators got consent to search the residence and Turner walked into a room to find methamphetamine being processed in a meth lab. Deputies then obtained a signed search warrant. 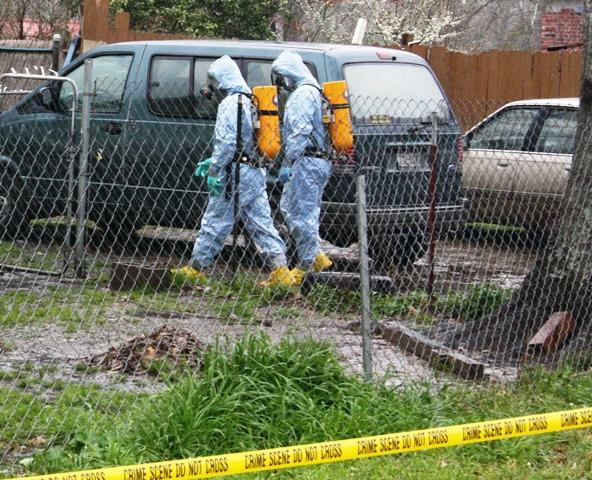 A search of the residence uncovered a large meth cooking operation and a very large amount of methamphetamine. Danny Hill, Sr., was arrested and charged with felony possession of methamphetamine (200 - 400 grams) and manufacture of methamphetamine with intent to deliver. Patricia Thomas was arrested and charged with felony possession of methamphetamine (200 - 400 grams), manufacture of methamphetamine with intent to deliver, and felon with possession of a firearm (25 caliber revolver) (Thomas was recently paroled and cannot legally own a firearm). Both were booked into Polk County Jail. At time of press, an investigation into this incident is still under way. In the event of new information, PolkCountyToday.com will post updates. Special thank you: Lieutenant Andy Lowrie, Detective Chris Lima, Captain Ricky Childers, Brenda Hambrick. 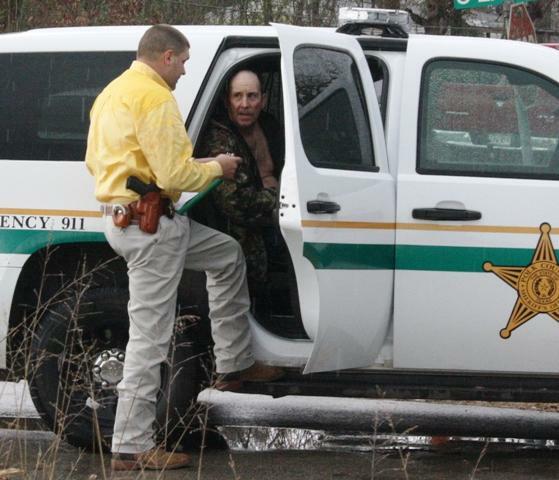 Investigator Christopher Lima with the Polk County Sheriff's Office talks with suspect Danny Hill of Goodrich. Randy Turner (right) assists Lieutenant Andy Lowrie. 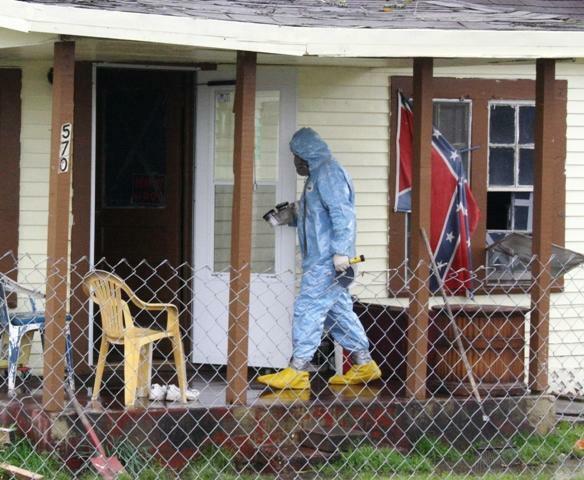 Turner discovered the active meth lab. 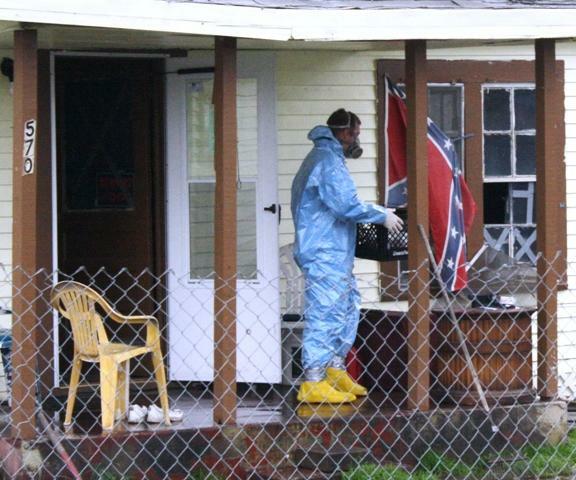 The presence of an active meth lab is highly dangerous. 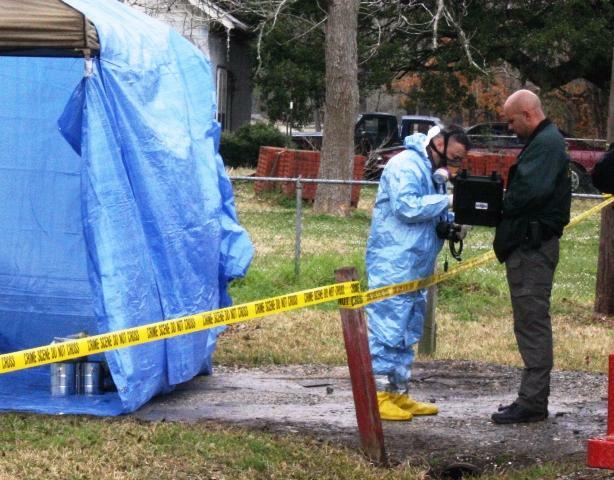 Narcotics Investigators Andy Lowrie and Howard Smith wore protective gear when handling explosive and toxic chemicals in the process of being cooked. This cannister was filled with chemicals and still smoking as Lieutenant Andy Lowrie removes it from the house. Goodrich Fire Chief Ken Hambrick stands by (right) and Polk County Fire Marshal Jay Barbee (Center). 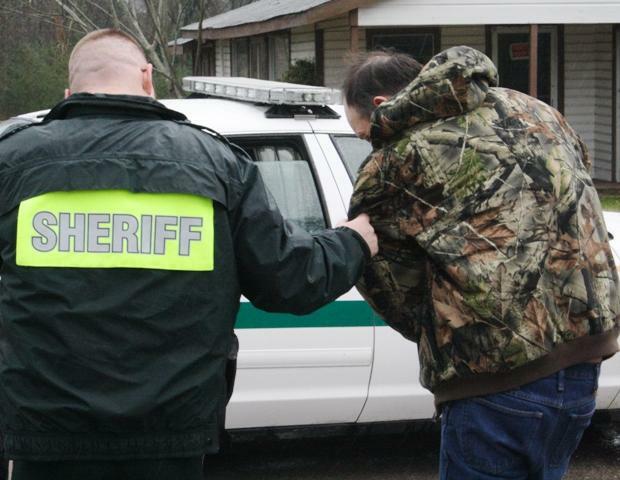 Deputy Christian Schanmier hauls in an alleged meth maker. 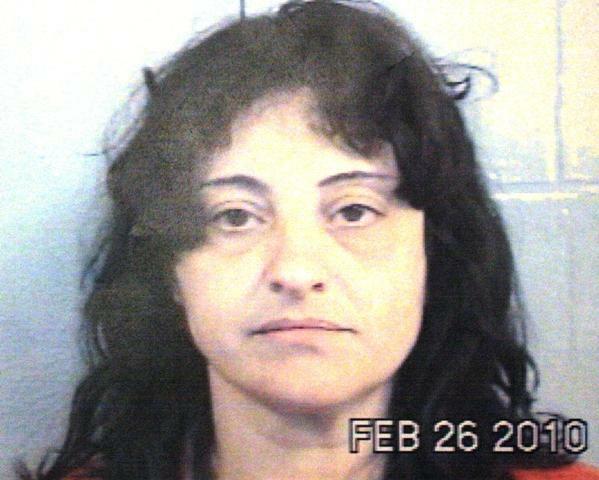 Patricia Thomas of Goodrich was recently paroled but now faces multiple felonies. No rest for the wicked. Danny Hill kept dogs around his house to warn him of intruders. 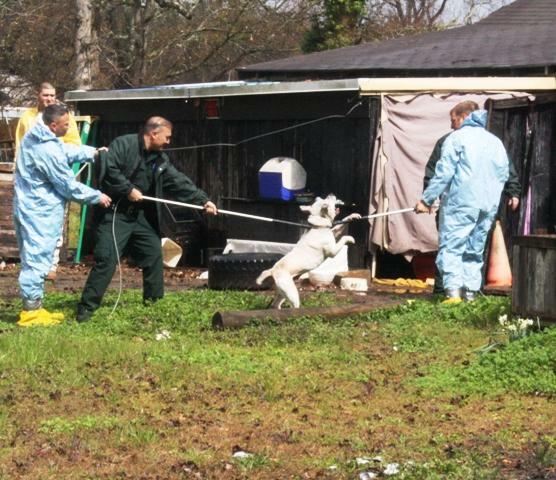 Animal control officers apprehend a pitt bull that was more than willing to fight. The dog will be fed and kept in a sheltered environment. 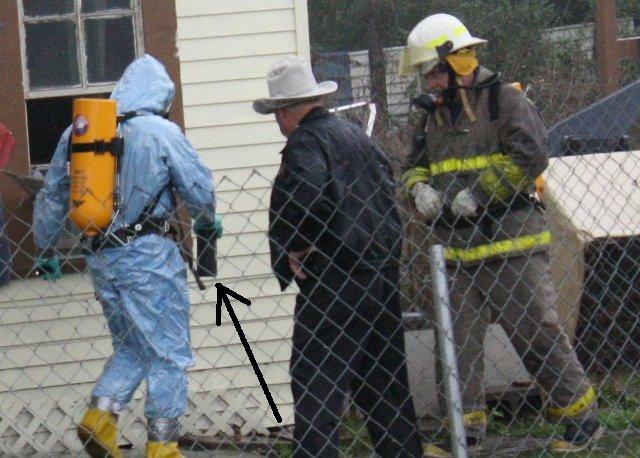 Once the house was adequately ventilated, investigators removed their masks but opted to still wear a breathing apparatus. 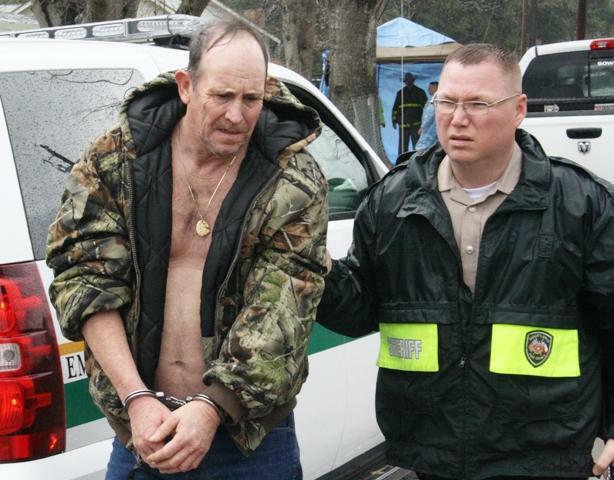 Sergeant Howard Smith confiscates meth chemicals. Lieutenant Andy Lowrie (left) and Sergeant Howard Smith remove more chemicals and materials used in manufacturing methamphetamine. 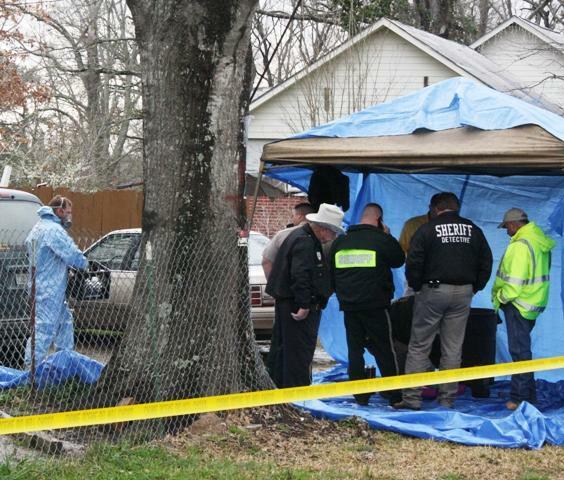 With rain coming down, investigators erected a small shelter as they worked the case.